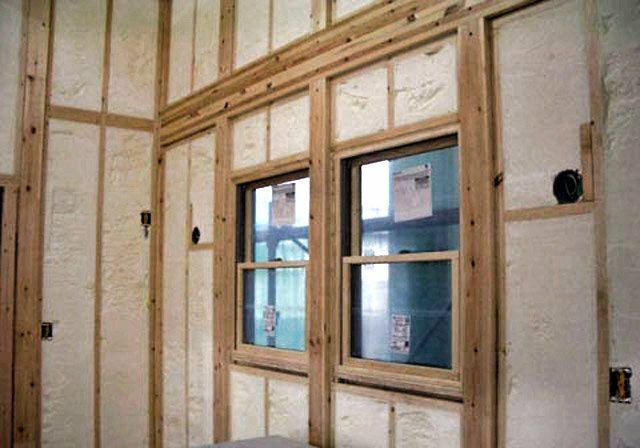 Spray foam insulation for houses is the perfect answer for sustainability, energy efficiency, improved comfort and a healthier living environment. 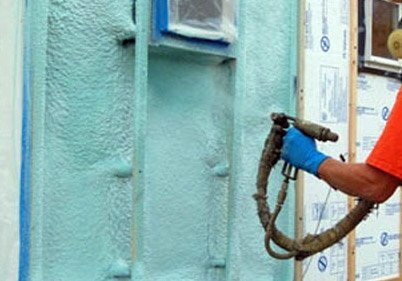 Our spray foam insulating systems are cost effective and environmentally friendly. They also come with design flexibility, which means that they can fit perfectly into any type of residential home construction project. Spray foam insulation materials form an airtight seal within your perimeter wall, expanding to completely fill the studwork and wall cavities. This in turn seals them up, stopping air exchange into and out of your home. When you decide to go with spray foam insulation for your home, there is a choice of two different applications: Closed and Open-Cell Foam. The most cost-effective option for residential projects is open-cell foam, which does an excellent job of providing an air barrier in most applications. For a higher insulating value, closed-cell foam is the best bet. The finished product is both lightweight and extremely strong. Its high compressive strength increases the structural stability of the home. On top of that, closed-cell foam acts as an air barrier, a moisture management system and a vapor retardant. Air flows into and out of homes through every single crack, hole and seam. Around one third of the air in a home finds its way inside through openings in the wall, ceiling and floor. With heating appliances accounting for between 40-60% of the average home’s energy bill, spray foam insulation will allow you to recoup a large portion of your bill, while still maintaining an indoor climate that is comfortable and healthy. 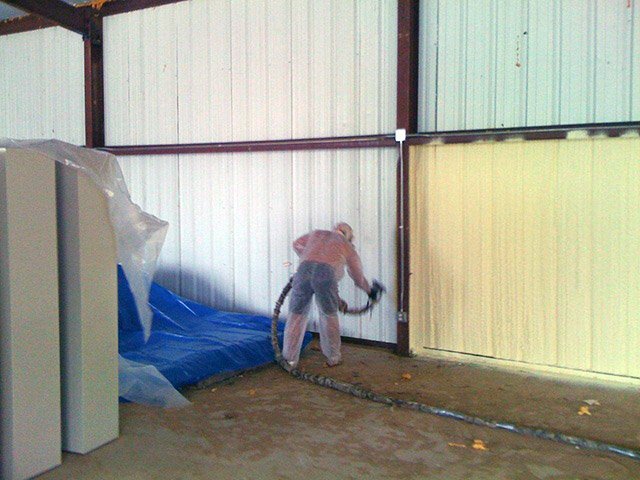 Spray foam insulation also acts to eliminate moist air inside buildings, leading to less mildew and mold growth. This provides increased health benefits for anyone who lives there. Spray foam’s physical properties and cell structure make it a great sound-insulating device for residential homes. 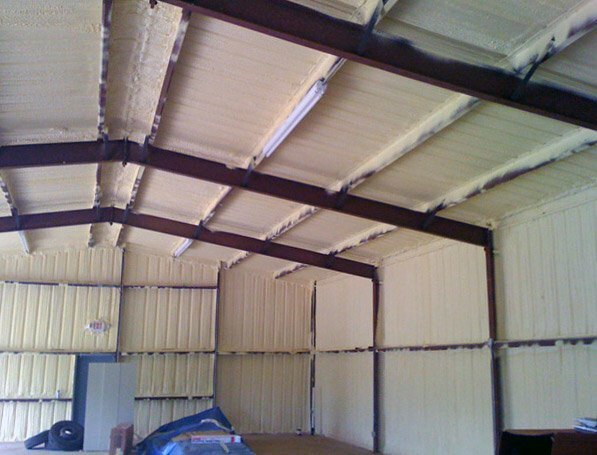 Spray polyurethane foam provides strong resistance to airborne sound waves. The way it fits perfectly into cavities and stud work, filling all gaps completely means it is the ideal system for reducing noise in any household, as it minimizes the transfer of sound through both walls and floors. Not only does it provide individual room insulation, but it can also eliminate virtually all outside noise, with sound from cars, trains and planes being kept outside where they belong.